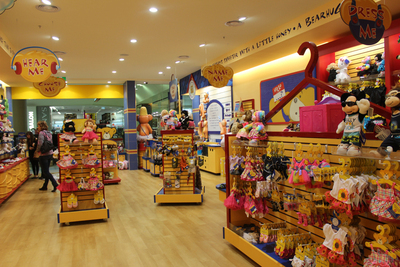 Build-a-Bear opened their first Adelaide store earlier this year at Westfield Marion, now there's also a second store at Tea Tree Plaza. 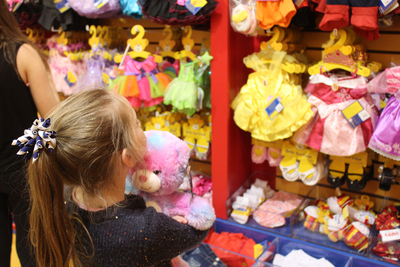 Build-a-Bear offer a unique toy buying experience, where kids have an opportunity to select a teddy or other toy to stuff, fill with love, and then finally take home. You start by selecting your bear. To be honest, it's a little bit strange. All of the bears and other critters sit unstuffed waiting to be chosen. Thankfully there are stuffed bears on display so you can choose a friend, see how soft they are, and try out their hugs. Then you find them in one of the buckets and take them over to be stuffed. There's a big machine that swirls with all of the bear stuffing. 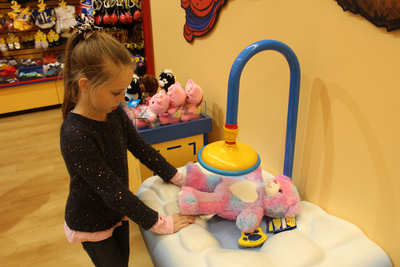 Someone from Build-a-Bear will fill your bear while you use the foot pump to activate the machine. 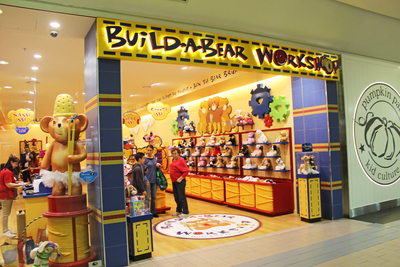 Build-a-Bears aren't the sort of present you buy ahead and then wrap up, you really need to bring the kids along to the store so that they can do it all themselves. That's what really makes the bears special. There are lots of other things that can be added inside your bear. You can choose 'sounds' that range from roars to One Direction. There are also smells, and even beating hearts. It's pretty easy to get carried away and each little addition will up the price of your bear. It's a good idea to work out a price limit before you head to the store because it's very easy to get caught up in things. Every Build-a-Bear also has a heart put inside. 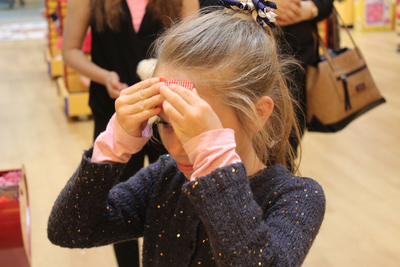 Kids rub these over their nose, heart, forehead and ears to make their bears nosey, fill them with love, make them smart, and make them good listeners. You can buy lots of accessories for your bears. So once their preened you can choose from dresses, roller skates, mobile phones, and even passports. They also bring out themed costumes like Disney Princess dresses or AFL and NRL team uniforms. 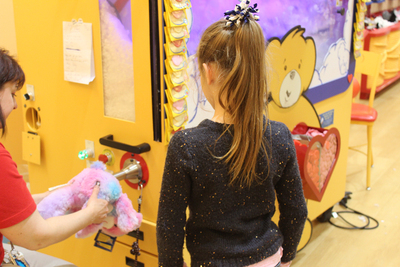 The staff at the Tea Tree Plaza were all friendly and played along well with the Build-a-Bear act. 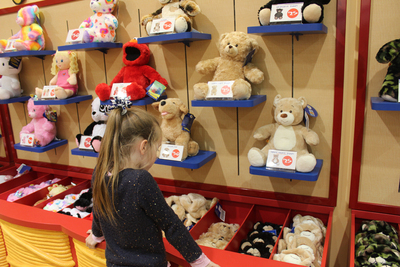 We were disappointed that not all of the current toys were available or on display, but this is probably a problem that occurs at all Build-a-Bear stores. 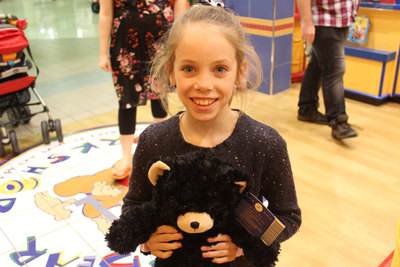 Have you bought a Build-a-Bear yet? Do you love or hate the store?